Every spring, garden centers, plant nurseries and hardware stores are filled to the brim with an abundance of beautiful vegetable and flower transplants. 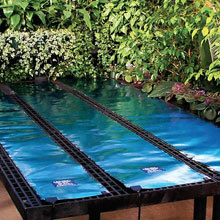 While their convenience may be alluring, the cost can be a deterrent, especially if you are planning a large garden. As a result, many gardeners are opting to grow their own plants from seed. In addition to being extremely affordable, growing plants from seed provides the opportunity to try a seemingly endless array of unique hybrids, unusual heirlooms and open pollinated vegetable and flower varieties that are not typically sold as transplants. It is also fun and rewarding to watch the life cycle of plants from the beginning. With a few basic seed-starting products from TekSupply, and a little bit of know-how, your summer garden can be filled with delicious homegrown produce or stunning ornamental flowers. Perhaps the only really difficult part of the seed-starting process is trying to decide what to grow! Local garden shops usually have a few racks of seeds, while seed catalogs and online vendors typically offer hundreds or even thousands of varieties. The benefit of having so many types to choose from is that you can customize your garden to suit your personal taste and unique needs. For example, if you have very limited gardening space, it's possible to buy dwarf tomatoes, mini sunflowers and herb varieties suitable for container gardening. Conversely, if you have a great deal of growing space, it's often possible to buy seeds in bulk. 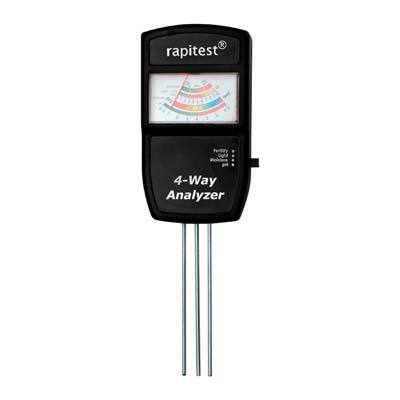 Before you begin planting, you will want to determine what the last frost date is in your location. This date can be determined by contacting your local agriculture extension office or by utilizing frost date calendars that are readily available on the internet. In many cases, this information may even be provided on the back of your seed packets. Each type of plant will require a different amount of growing time and will germinate at a different rate. Some of the more hearty vegetable and flower varieties only need four or five weeks of indoor growing time before they are ready to be transplanted outdoors. Others such as tomatoes, peppers and eggplant grow more slowly and should be cared for indoors for at least six to eight weeks. 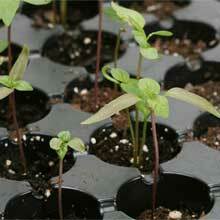 Seeds require only a few basic elements to germinate: clean containers, a growing medium, water and warmth. TekSupply offers a variety of covered indoor growing systems that include heated mats to provide optimal germination and growing conditions. Some seeds also require a light source to germinate, while some only require this after the seedlings emerge from the soil. 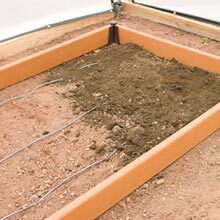 Seed-starting mixes, also called soilless blends, are an ideal medium for starting most vegetable and flower seeds. These prepackaged mixes are specially formulated for containers and cell packs and typically include sphagnum moss, vermiculite and perlite. This trio of ingredients is designed to provide nutrients to your plants as well as promote good aeration and drainage. Many commercial seed-starting mixes also include time release plant food to help further nurture seedlings and young plants. Since these mixes are inexpensive and readily available at most plant nurseries, garden centers and hardware stores, many gardeners prefer to start their seeds with this easy-to-use propagation medium because it takes the guesswork out of feeding and fertilizing tender seedlings. 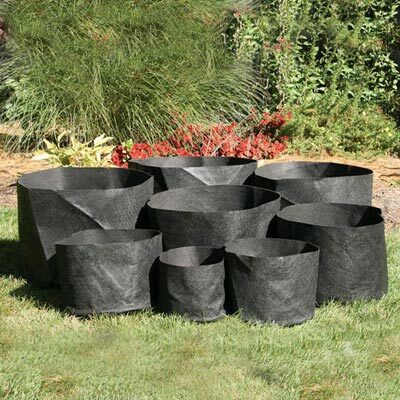 Wonder Soil is an eco-conscious soilless potting medium that we offer and is available in a variety of forms and sizes for all gardening applications. 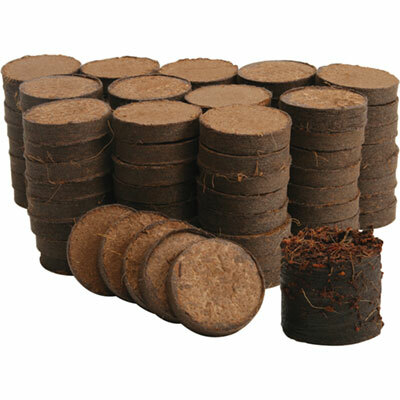 We also sell Jiffy-7C Coir Pellets and Jiffy Growblocks® which contain a biodegradable containment material, and serve as the "container and media in one". High quality, enriched potting soil can be used for seed-starting as well. However, it is not recommended that soil from your garden or a prior growing season be used for seed-starting since it is not sterile and may contain insects or fungus that can damage or destroy seedlings. Empty the contents of your soil starting mixture into a large bucket and moisten with a small amount of water. After mixing it thoroughly with your hands, carefully fill the seed flat evenly with soilless mix or potting soil and gently press your seeds into each cell. For smaller seeds, such as tomatoes and basil, put a few seeds within each cell. Larger seeds like zucchini and beans only need one seed per cell. Seeds do not need to be pressed deep, just about 1/8 of an inch or so from the top. Label each cell with the name of the variety and mist gently with water from a spray bottle to lightly moisten the newly planted seeds. We offer a variety of cell inserts and plug trays that fit into our Standard 1020 Flats which will allow you to grow as many seedlings as you need. After watering and seeding, it's a good idea to cover the seed flat. 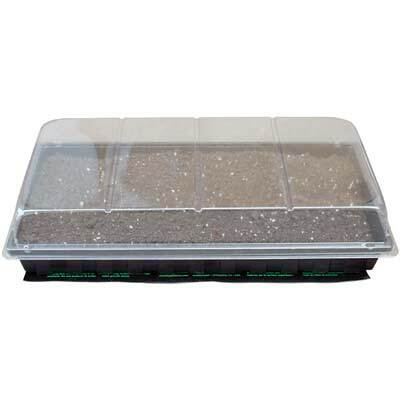 Keeping the tray covered retains moisture and heat which will aid in the germination process. 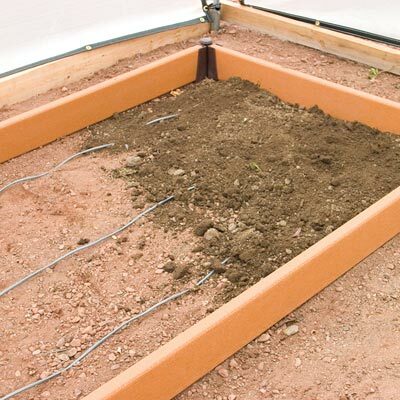 Using a seedling heat mat is strongly recommended at this point as it will provide consistent heat, which helps ensure greater growing success. 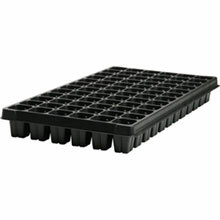 These beneficial heated mats warm the rooting area 10 to 20° above ambient temperature to improve germination and rooting. The result is faster germination and higher success rates, which means that plants are ready to transplant sooner. 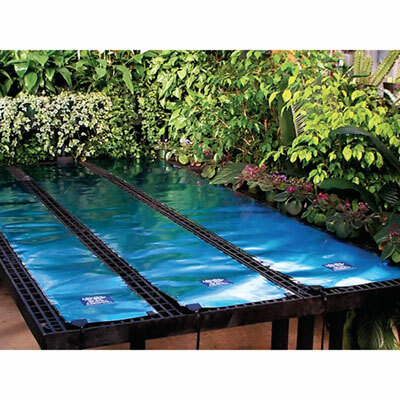 Our seedling heat mats are available in three sizes to accommodate one, two or four seed flats. Complete instructions, as well as helpful planting and lighting information, are imprinted directly on the mat. 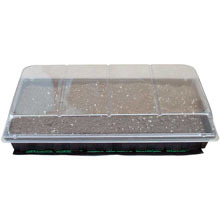 Once the seeds have sprouted, remove the tray cover and cease use of the heat mat. Relocate your seed flat near a sunny, south- facing window that receives consistent daily light. It is important to rotate the seed flats daily to avoid plants becoming "leggy" as they reach towards the light source. Many gardeners do not have ideal natural light for seed-starting and instead opt to utilize artificial light in place of a sunny windowsill. Indoor grow lights need not be intricate or expensive. 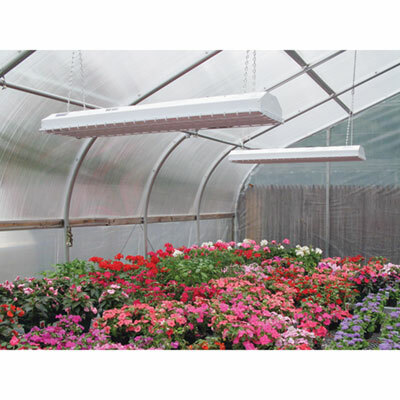 It is important to choose and install a light fixture that can be easily raised to accommodate seedlings as they grow. One of the most popular methods for hanging grow lights is to use lightweight chain and two "J" hooks hung from a PVC frame or plant stand. 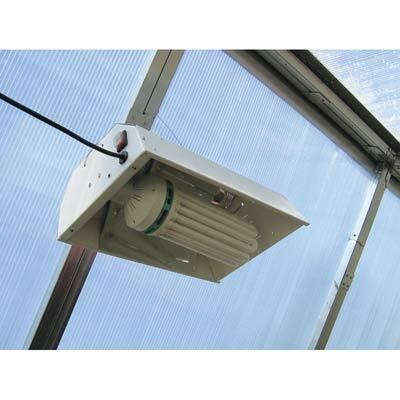 Energy-efficient fluorescent lighting will work well for seedlings, as will the ValuTek 4' Wet Location Fixture. 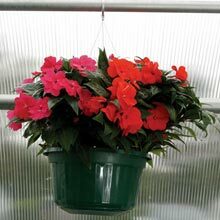 Hanging Full Spectrum Lights are another excellent choice for growing flowers, herbs, vegetables and small plants indoors as they are energy efficient, compact and provide the next best thing to sunlight. 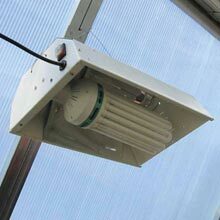 Grow lamps should be left on for twelve to fourteen hours per day. If you are using fluorescent lights, keep the lamp two to three inches above your seedlings. 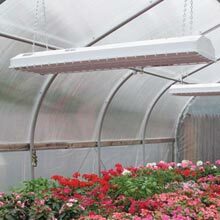 Hanging Full Spectrum lights should be kept at least twelve inches away from seedlings. It’s important to check your plants daily and raise the lighting fixture as the plants grow. Most vegetable and flower garden seeds will germinate within a week or two of planting. The most important qualities for optimal seed growth at this stage are good lighting, air circulation and sufficient watering. Should plants begin to outgrow the cells within their flat, transplant each plant into larger containers until they are ready to be moved outside. Fertilpots are 100% organic and biodegradable, and serve as useful containers because they permit roots, water and air to penetrate the walls of the pot for completely natural root development and successful transplants. They are beneficial because the entire pot can be transferred right into the ground. They are available in a range of sizes from larger pots to smaller strips to fit your exact needs. We also have plastic pots which are not as permeable, but are a more economical potting alternative because they are reusable. 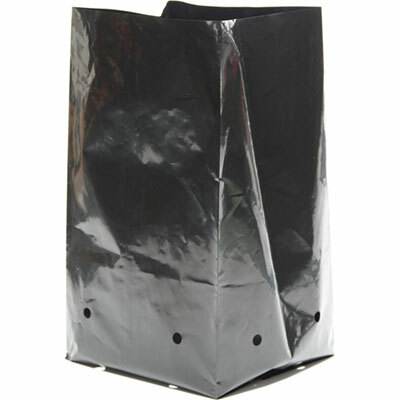 These come in Heavy-duty Net pots for hydroponic systems and tradition nursery pots. It is important to acclimate indoor-grown seedlings to the outdoors gradually to decrease instances of transplant shock. Set your seedlings outside for a few hours per day in a shaded area or semi-shaded area and bring them back indoors in the evening. After doing this for a few days, gradually increase the amount of time that they spend in direct sunlight. About one week later they should be ready to plant outdoors. Many gardeners like to make the transition outdoors easier by using a cold frame, patio grow house or Garden Starter Greenhouse to "toughen up" seedlings before planting them in the ground. These affordable enclosures are designed to retain heat while diffusing sunlight and preventing sun scorch. Best of all, they are not only useful for "hardening off" transplants, but they can also be utilized as season extenders in the fall to allow gardeners a few more weeks of valuable growing time. We offer several different types of cold frames including Gothic or Round style, Flip-Top or Canopy-Top, Heavy-Duty and Mini Cold Frames. If you are unsure of which type of cold frame is appropriate for your application, ask your National Account Manager for assistance.